Looking For a Better Way To Relocate your Employees? 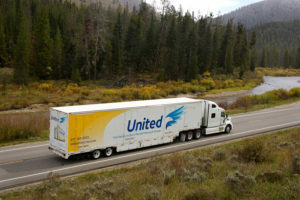 Snapmoves by United Van Lines. 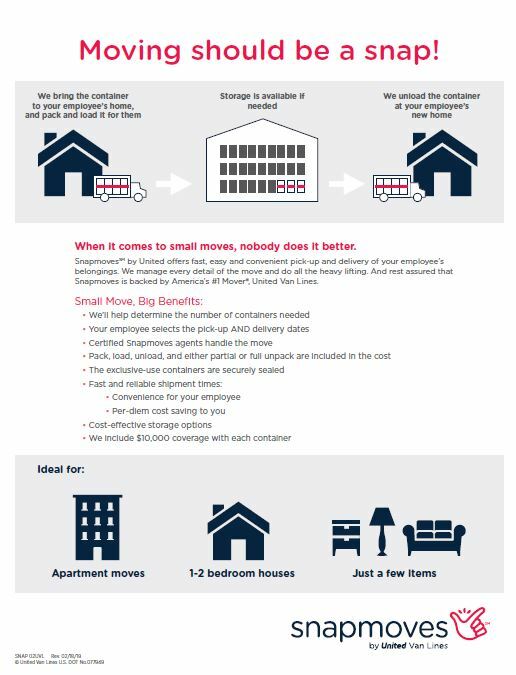 United Van Lines is proud to offer our new moving solution, Snapmoves. This program is designed to provide a better moving experience by streamlining the moving process through the use of securely sealed containers. Ideal for smaller shipments like apartment moves or small one to two bedroom homes. If you are relocating employees in or out of Southern California (San Diego, Oceanside, Los Angeles, Ventura), call us at (800) 897-6683 for more details on our new Snapmoves moving solution. Taking a road trip? Safety First! To some… there is nothing like the open road. The adventure of going to new places you’ve never been, and seeing vast scenic horizons. Weather you have your favorite playlist playing, or just listening to the sound of the road. You can be spontaneous, or have a strict itinerary. Either way you like it… don’t forget to do the most important and often overlooked thing. Check under the hood, and make sure all your fluids are at their proper levels. Oil: You may consider changing your oil. Even if it’s not due, oil is cheap compared to a tow bill and or a major repair. Brake Fluid: Surprisingly, this is the most overlooked fluid in your vehicle. Without it you can’t stop! Automatic transmission fluid: Too little transmission fluid can cause major damage due to excessive heat on long rides. Windshield washer fluid: The ability to clean your windshield while driving is essential to maintain visibility. Tread depth. Not having enough tread on your tires will increase your stopping distance. It will also give you poor handling in bad weather. Rotate, or replace your tires if needed. It’s better than a blowout. Other safety equipment to check, and make sure they work. You want to be able to communicate with your fellow drivers. Properly functioning equipment is essential for seeing, and being seen. There are a lot of other things you can check to make sure your vehicle is ready for the open road. Your goal is to make it to your destination safely. Here are a few other resources that may help you have a successful trip. *This article is intended to be informational only and should not be considered professional advice. Please consult a professional when addressing any safety concerns regarding your vehicle. Move day has come. You are nervous, excited, and most of all ready to relocate to your new house with a fresh start. We all know moving can be hectic to say the least! Properly preparing for your move can save you time, money and a great deal of headaches. 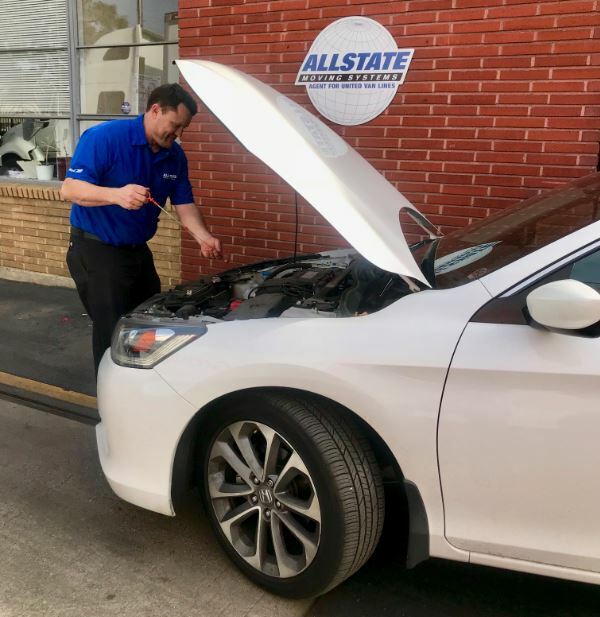 We at Allstate would like to help! Over the years I have noticed that there are 3 simple things that can help our customers prepare for their big day! The more a customer knows the better! It is extremely helpful to create a “NO TOUCH” pile prior to the movers arriving, in an area that is out of the way where you can set items that will NOT be moved. This is helpful because it creates a clear cut area that lets the moving team know exactly what not to touch. Items in this area could include carry along luggage, clothes, baby essentials etc.… basically anything you may need to get by during the whole moving process. Securing parking permits for the closest possible entrance to your complex or home the day of the move will ensure that the moving crew can get situated and commence your move as soon as possible. Make sure a few hours prior to the arrival of your moving crew that your neighbors have honored your “reserved parking” signs. Moving is a BIG deal! But knowledge is power. Use these 3 easy tips to prepare for you upcoming move and you will thank yourself for doing them! Moving out of state is a delicate matter that requires exceptional levels of preparation and planning. You surely don’t want to greet moving day without having a clear plan in place. Unlike a local move across town, or intrastate move, moving to a new state is the type of relocation that will bring a number of challenges to test your preparedness. Once you officially decide to move long distance, the first thing you should bear in mind is that not all movers are created equal. You will want to find a professional interstate mover. In the majority of cases, local movers do not have the proper authority to legally transport your household goods cross-country. Look for a well-known vanline with a proven track record. Instead of attempting to move yourself, you can concentrate on the dozens of other task that must be completed prior to your long distance move. Get a free moving quote from a reputable vanline such as United Van Lines. Request a free in-home survey. Any major vanline will provide you with a not-to-exceed quote. Any company not willing to provide you with a not-to-exceed quote should be your first red flag. Research the mover. Two places I suggest reviewing is the companies BBB listing and the companies CPUC household goods permit. Here is the link to both for your review. Avoid online moving brokers and any company unwilling to provide a free in home estimate. Trust me, there are far too many scam movers out there. You do not want to trust your worldly possessions to an unscrupulous moving company.